The Vienna Open Championship will be held at the Sport Hall Wohnpark Alterlaa. The address of the whole area is Anton-Baumgartnerstraße 44, 1230 Wien. Take the brown metro line (U6) to the station Alterlaa. Exit the station at the back of the train and go to Kaufpark Alterlaa. Follow signs to Block A and go outside. Follow alongside the Block A until you can turn left and see the entrance to the round sport hall. We will post signs along the way. 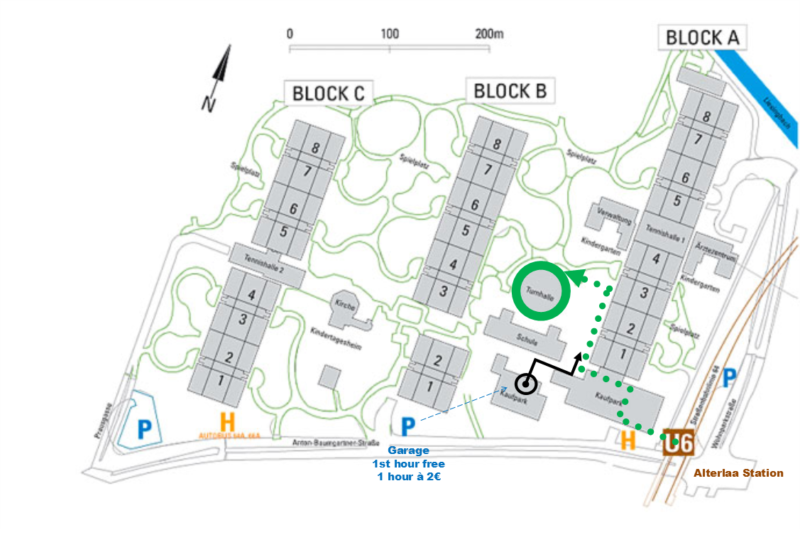 Please note that there are many ways to go to the sport hall, it is situated between Block B and Block A. If you are lost, ask a local for the Rund-Turn-Halle. There are not many free parking spaces available (see map below). There is no direct access to the sport venue by car, since it is in the middle of a park. Your best option is the parking garage that charges 2€ / hour with the first hour free. 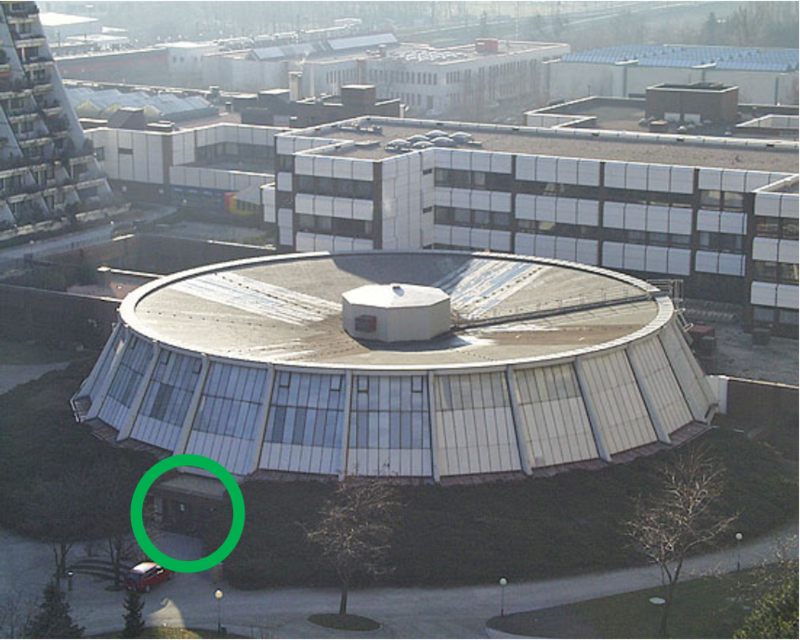 Once you are in the garage, go up to the shopping center Kaufpark Alterlaa and find your way (see description above). Alternatively you can try to find a parking space near the metro station, but plan enough extra time.